A layer mask is an amazing tool that allows you to edit your photos non-destructively. 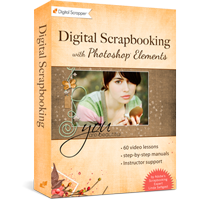 It is accessed and used in the Layers panel, and its purpose is to hide part of a layer. When would you want to hide part of a layer? Let me count the ways . . . only it would take me all day. So instead, I’ll show you ONE great example. I’ll add a layer of texture above a photo and change the blend mode to create an artistic effect. Then I’ll use a layer mask to remove some of the texture over our cute little kitty so we can see her better. I like to use an all black mask, then, with white, set to a low ‘Flow’, click to bring back only parts of an image or texture. You have such complete control! Thank you for the simple, yet, thorough tutorial! Thanks, everyone—I’m glad you enjoyed the tutorial! Great tutorial, I forgot about using a gray mask, thanks for reminding me because I’ve been using layer masks frequently while editing my photos and a gray mask would be very useful. Super tutorial. Sometimes I forget how to make this happen. You explained it so well. Layer masks really do make such a difference on photos. I just have to use what I’ve learned more often! What a great summary! Thanks so much. Great video! Just getting into layer masks – dabbled in them before – hope to get a handle on them now – this video sure helped!!! Great tutorial! 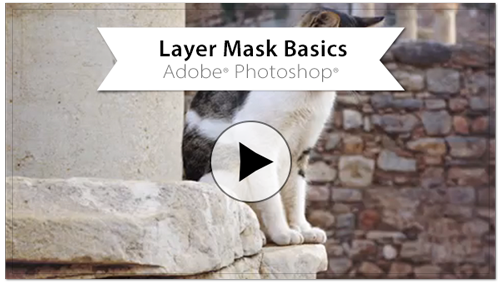 Wish I would have seen this years ago as it took me a long time to understand layer masks! This is perfect for new users.